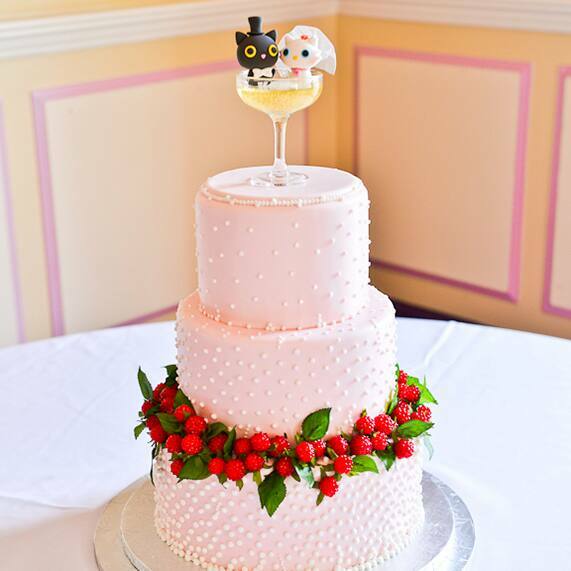 Happy Wedding Cake Wednesday! Inspired by the French atmosphere of Monsieur Paul, today's sweet treat is simply adorable. 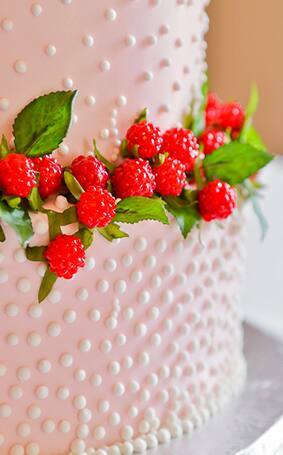 Three soft pink tiers accented with delicate white dots give this cake an undeniably romantic aura and the garland of raspberries creates a pop of color. 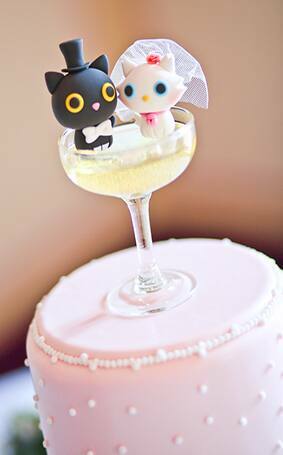 Perched in a faux glass of champagne, a feline bride and groom are the purr-fect personalized touch to this playful cake.